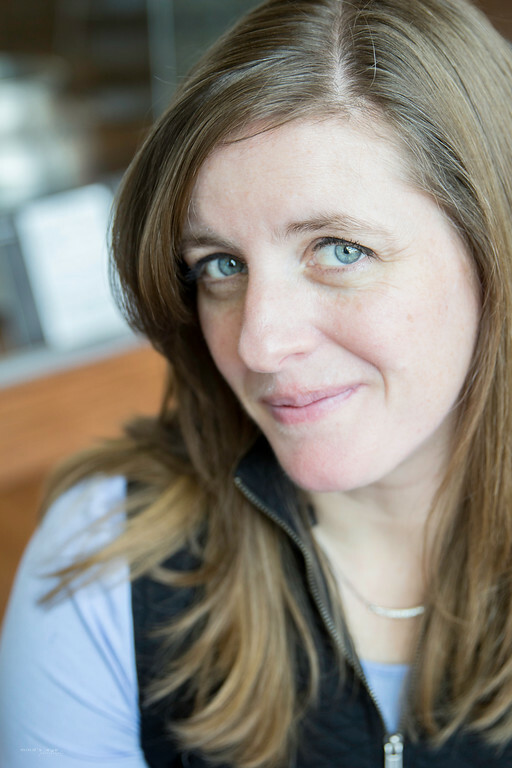 Debut author and member of the Sweet Sixteens, Janet Sumner Johnson recently chatted with Melissa Thomson, a Swanky Seventeen debut, about Johnson’s new contemporary middle grade novel, THE LAST GREAT ADVENTURE OF THE PB&J SOCIETY (Capstone Press, April 1, 2016). Some things are better together. Like peanut butter and jelly. Or Annie and Jason. So when her best friend’s house is threatened with foreclosure, Annie Jenkins is bursting with ideas to save Jason’s home. She could sell her appendix on eBay. (Why not?) Win the lottery. (It’s worth a shot!). Face the evil bankers herself. (She’s one tough cookie, after all.) Or hung down an elusive (and questionably real) pirate treasure. Whatever the plan, it has to work, or this is undoubtedly THE LAST GREAT ADVENTURE OF THE PB&J SOCIETY. You can find Janet on her website, Twitter, and Facebook. 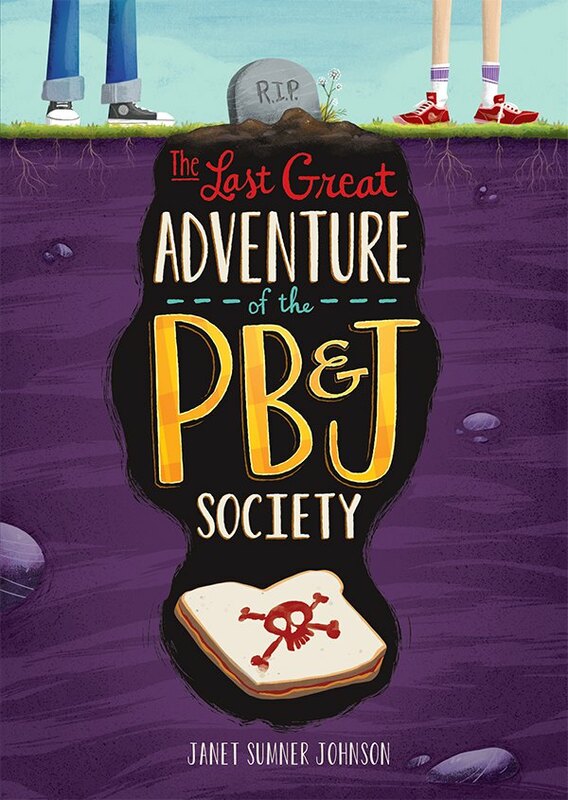 Melissa: I was so glad I had the chance to read The Last Adventure of the PB&J Society! I love the friendship between Jason and Annie. In addition to your own childhood friendships, what else inspired your story? Janet: I’m glad you liked Annie and Jason! A lot of the events in the book happened to me as a kid, and the early, early draft was just a series of vignettes. The recession in 2008 is when I came back to that early draft and really found the story. I had a friend who faced foreclosure. It was a bit of a different situation [than in the book] because her husband had passed away. I remember looking at her kids, and they’re already going through this incredibly hard thing because their dad just died, but beyond that, they were losing their home, and the look in their eyes…I can still see it in my head, how helpless they felt. I later realized my book isn’t about a kid moving away. It’s about [kids] going through this thing they have no control over that they want to have control over. It’s not fair to them. They don’t get a say in it. It’s just what happens, and what would I do if I were a kid and I felt that way? Melissa: Oh my gosh, you’re articulating word for word what I felt about my book…that kids are looking to have some control, but through whatever kid logic they can put together. Janet: Exactly. It’s this idea of empowerment for kids. They can do stuff. They aren’t helpless, even if it doesn’t always work out the way they want. Hopefully that’s what the takeaway is for kids, that they feel empowered. Melissa: I know you have a couple of different works in progress. What have you learned from writing and revising your first novel? When you started a new work, did you say, “Ok, this time I’m going to…”? Janet: When I first [drafted PB&J Society] I wasn’t writing it to publish it, I was just writing it for me, and I loved it. I was on bed rest, and I had nothing but time, and in about three weeks I wrote the first draft. That doesn’t happen anymore, but I try to remember, from that experience, the joy of the story. I try to keep that joy when I write subsequent novels, but it’s not as easy. When you have deadlines, it changes everything! Melissa: What advice do you have for debut authors who are trying to make progress on new books as they prepare for their debuts? Do you keep a specific schedule of “author” time (promotion, interviews like this, etc) versus “writer” time when you’re actually getting words on a page? Janet: I almost laughed at this question because I think I’m the worst person possible to answer it! [In terms of] getting the edits done and trying to get a new project done, a schedule was a big help. That’s what I did when I was revising. I said, “Okay, revise at least two hours today, and then I can do all this other stuff.” Schedule the writing time first, and you can let promotion and everything else eat whatever time is left. Here’s my second piece of advice. I’d say even though it feels like you have a long time—you have like a year—until everything hits, start now with all of your preparations. Map out when you need to do everything you plan to do. “October is when I’m going to start writing my teacher’s guide,” and so on. I did some of some of the things I had planned, but then I had a huge life event. We had to move unexpectedly in February, and it threw all my plans out the window. So that’s my third piece of advice. Life is going to happen, and you can’t always control it, and just accept that you are probably not going to have time to do everything that you want to do with your writing or promotion. Be willing to let go of things and realize that sanity is even more important than your writing. Do what you can without burning yourself out. We need to be easier on ourselves and let ourselves breathe. Melissa: One of the things I struggle most with is not turning my whole life upside when I’m on deadline. Janet: I really lucked out, actually, on this book. I was really stressed about it, but when the revisions came they weren’t as extensive as I feared they would be. It was very manageable. I had three weeks to finish all the revisions. I think I even turned it in early. Janet: Yeah I know! I was really lucky in that sense, I think because in part I had been working on [the book] for so long. Melissa: I know you are a runner…what routines are important for you to keep up as you are on deadline? Janet: I like that you brought up running! This winter was really snowy, and it was rough because I couldn’t get out and run. I’ve learned over the last few years that even though [running] takes time, and sometimes it’s really hard to make myself go out, I’m always happier when I do it. And it always spills into the other aspects of my life, whether how I’m dealing with my kids or how I’m dealing with my writing. Another routine that I always regret skipping is the afterschool routine of picking up [my kids], helping with their homework, and then getting dinner ready. It’s really hard to stop writing when you’re on a roll, and you’re like “I just have one more sentence!” but I feel like my mind works better when I take those breaks. If I need to stay up late, so be it, but missing the things in my family routine is not an option. Melissa: I love the way you framed that as not just about the effect on your family, but also the effect on you as a writer. It’s funny, the things you think are going to give you more time wind up kind of taking it, and vice versa. Janet: Exactly. You feel like, “If I just take a full eight-hour block, I’ll be super productive,” and it’s just not the way our bodies work, honestly. Especially with writing because it’s such a creative endeavor. Life is what inspires writing, so if we try to separate ourselves from life to write, of course it’s going to block that creativity. It’s hard to remember that when you’re feeling pressure with deadlines, but it’s a truth that I‘ve discovered. With my writing, at least. My favorite sandwich actually is PB & J! But it has to be grape jelly. That’s important. You are given $100 and you are not allowed to spend it on anything practical, and you are also not allowed to say books because every writer would say books. What do you buy? This was a hard question for me because I am ridiculously practical. Maybe this is a cop-out, but I would probably hire someone to come clean my house. If you followed a map to a buried treasure chest, what would you hope to find inside? It would be fun to find an actual treasure, like jewels, but I think it would be even more fun to find something that was like a time capsule; maybe a scroll, or a diary, or an object that they used all the time when the treasure was buried. And for a third idea, I would love to find a lost painting of Leonardo da Vinci. You’re clearly a writer if you’ve already got three different scenarios for what could be in your treasure chest! What are you reading right now? I’m reading Beyond the Red by Ava Jae. I was just on tour with her and had been wanting to read it. I started on a plane ride and got sucked right in. What was one of your favorite books when you were Annie and Jason’s age? L.M. Montgomery’s Anne of Green Gables, and Tales of a Fourth Grade Nothing by Judy Blume. I’ve read that book so many times! What do you plan to do the day your book is released? I have a school visit planned that day, but in the time around that, if I could just do whatever I wanted, I would run around to as many bookstores as I can to try to find my book. It’s coming up so soon! It didn’t feel like I would ever get here. It was like something I was running after but would never reach, like a mirage. Check out Janet’s very-much-not-a-mirage The Last Great Adventure of the PB &J Society! In addition to writing books for young readers, Melissa serves as the literacy instructional coach at an awesome elementary school. She grew up in North Carolina but now lives in Northern Virginia. While TITO THE BONECRUSHER is her middle grade debut, she has written the KEENA FORD early chapter book series a second grader and her mix-ups. Melissa likes snacks, books, improv, and getting dressed in workout clothes but never actually making it to the gym. She can frequently be found on the losing end of negotiations with her three year old. Tito the Bonecrusher is about a boy who seeks the help of a pro-wrestler turned action star to rescue his dad from a deportation detention center. Tags: Debut Club, Janet Johnson, Melissa Thomson, Middle Grade. Bookmark the permalink. Melissa, thanks so much for chatting with me! I had so much fun! Wishing you all the best as you prepare for the release of TITO THE BONECRUSHER!! !